What is happening to me? Suddenly, I am wearing more and more black! At first glance, this outfit looks rather simple, but you will notice all the fine details as you look closely. Stripes crop top, crochet skirt, studded bag, and a pair of Chanel flats. You can never go wrong with stripes and the classic low scoop back is perfect for hot summer days! I paired it with a vintage crochet skirt and a beautifully structured studded bag. And the flats... it's Chanel! What more can I say? 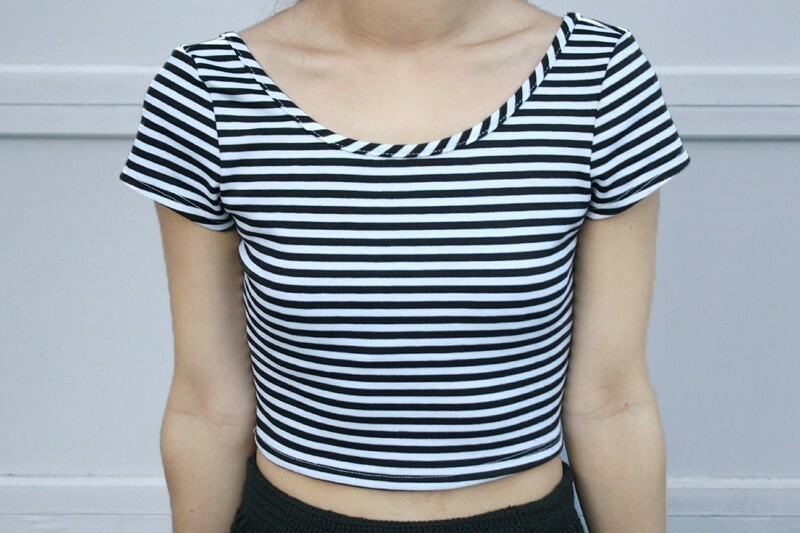 Stripes crop top by Misope from GoJane. Vintage crochet maxi skirt from Ebay. 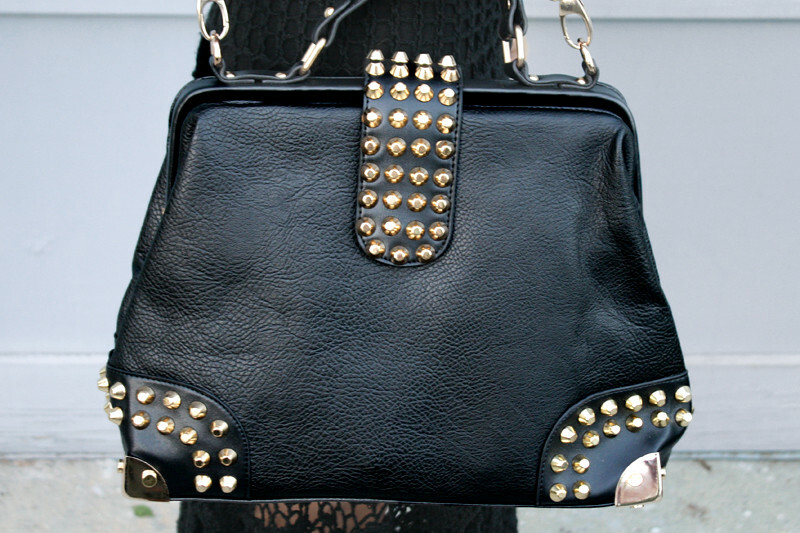 Studded bag c/o VJ Style. Love Love Love this whole outfit! Black can be a good thing! Love that skirt. Are you wearing your own slip or shorts under it? The skirt has no lining so I am just wearing a pair of shorts underneath!